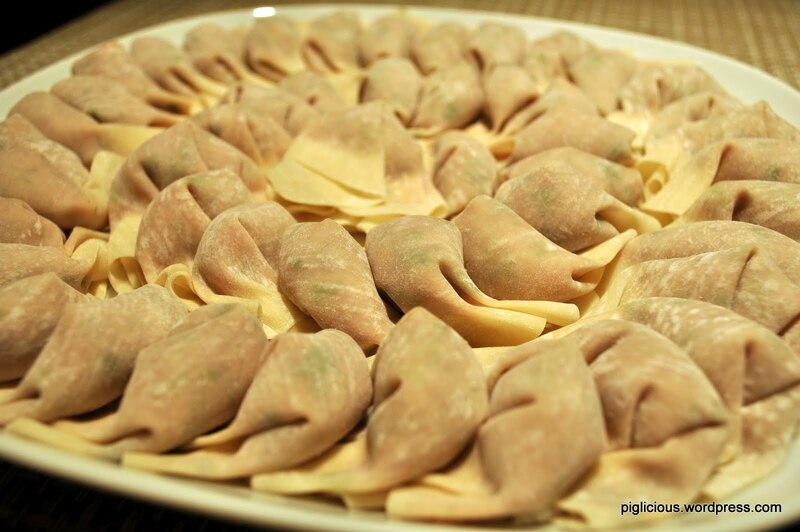 Growing up, my mother had always called wontons in Chinese, 餛飩 (hun tun). 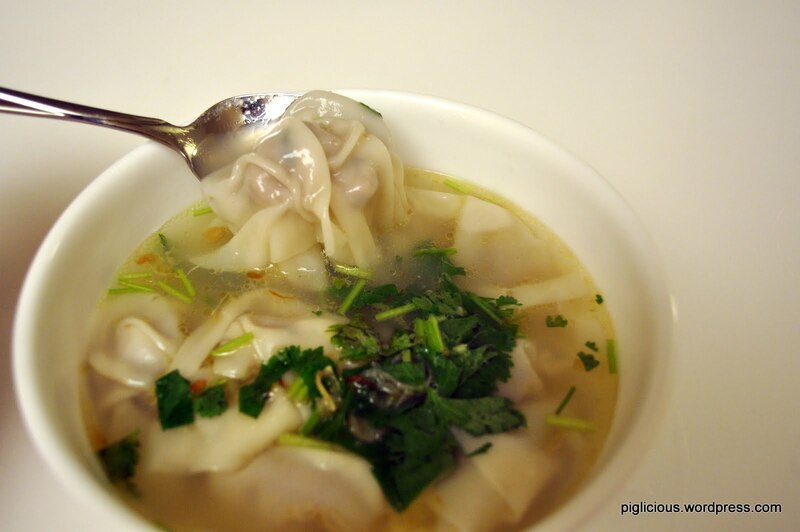 It wasn’t until I payed a visit to Hualien, Taiwan, a few years ago, that I found out all the wonton restaurants in this city calls wontons, 扁食 (bian shi). Even if you don’t know Chinese, you can totally tell that those words are quite different by the English spelling. Confusing… indeed. 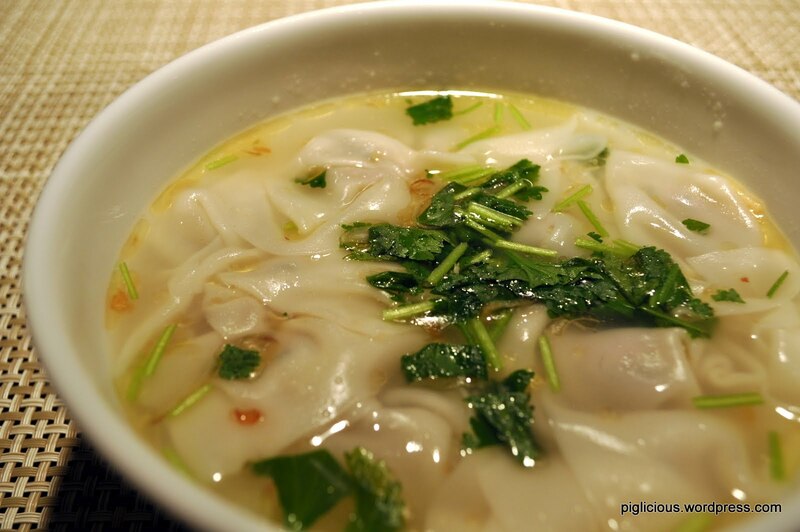 I got curious so I did some research, and many websites say that Taiwanese cuisine is mainly influenced by both the aboriginal people and of Fujian Province in China. 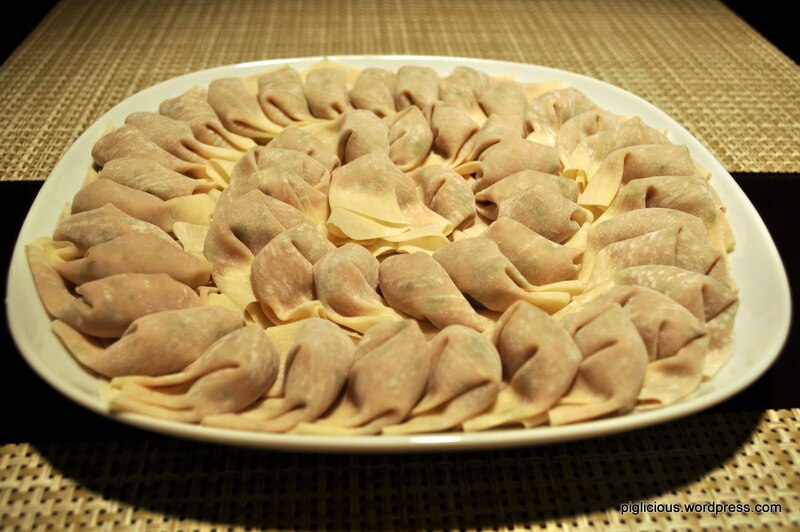 Wontons in Fujian are called 扁食, so I suppose that name was carried over to Taiwan. My mother is of Fujian descent and didn’t even know about this. Apparently, 餛飩 is still more widely used in Taiwan though. So this was the first time that I made wontons from scratch, on my own at least, and I’ve got to say there is still a lot of room for improvement to perfect this. They still turned out well, but something seems to be missing. If anyone has any suggestions, I’d be glad to hear it! 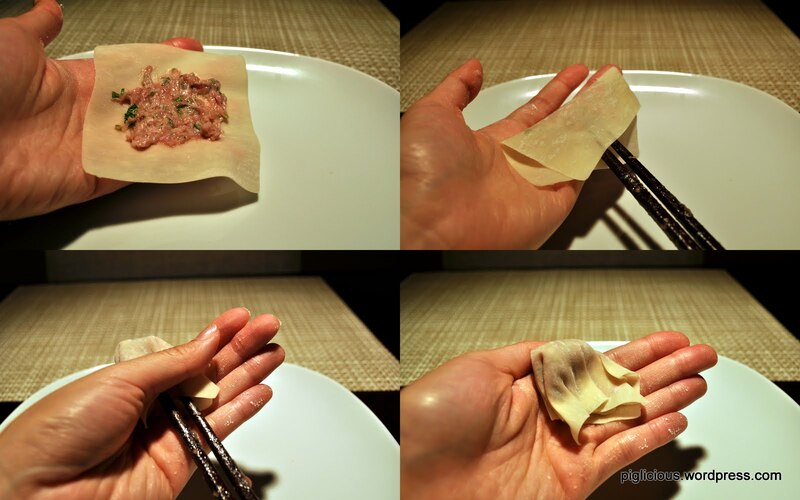 1) Make the filling. Ground up the ground pork even more, ground up the shrimp, and finely chop the cilantro. In a mixing bowl, mix the pork and shrimp. Always mix in the same direction. Add a little of the water in, mix. Repeat until water fully added. Add the potato starch, mix. Add the rice wine, salt, soy sauce, fish sauce, white pepper, and sesame oil. Mix many times to evenly distribute the ingredients. Add the cilantro. Mix. The more you mix, the more tender your filling should be. 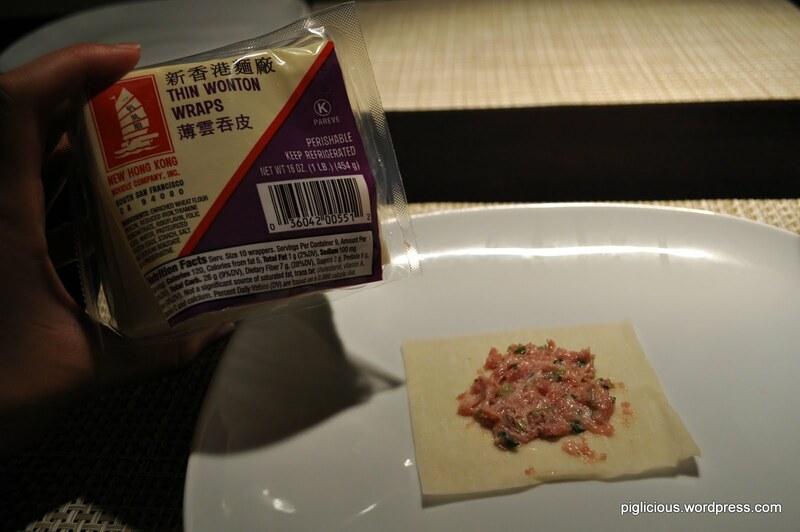 *The wonton wrap may “blow up” and the top when you’re scrunching these tightly together. But after practicing a couple of times, you’ll get the hang of it and it should happen less. These do need to be scrunched together tightly or else the filling will not stay in the wrap after you cook it. 3) Cooking. Boil them in water for about 8-12 mins, depending on how many you boil at once. Garnish with shallot (紅蔥頭) and cilantro/coriander.